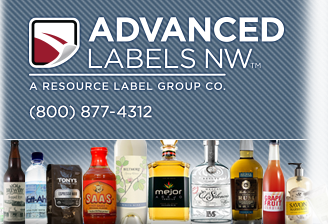 At Advanced Labels NW we consistently produce high-quality cosmetic labels. Vibrant colors are critical for many self-adhesive cosmetic labels and personal care product labels, and our expertise with labeled products makes us a perfect choice for all of your custom cosmetic label needs. Now exclusively available from Advanced Labels, our proprietary Simply Textured™ film labels are ideal for cosmetic labeling. With strong adhesion and excellent product resistance, Simply Textured™ brings the tactile luxury of traditional wine labels to cosmetic brands. There are 8 available textures to choose from, and you can add any color as well as foil and varnish treatments to create a truly unique cosmetic label. Request your free printed samples today! When your cosmetic brand requires the highest quality self-adhesive labels consider Advanced Labels NW. If you need small or large quantity cosmetic labels, expanded personal care labels, or decorative foil stamping and embossing for your product labels, Advanced Labels has the skill and label printing technology to make your custom labels for cosmetics shine. Our full color beauty labels are printed with super opaque whites for the highest quality shelf presence. Brands looking to remain competitive on retail shelves across the country prefer Advanced Labels. Advanced Labels utilizes only the finest state-of-the-art label printing technology. Our HP Indigo digital presses and flexographic printing presses are able to produce the highest quality and color reproduction for your cosmetic labels (in fact, our color reproduction abilities exceed all industry standards for color matching). We are able to precisely match your cosmetic labels from other printers. Our number one priority is meeting the highest standards for your custom cosmetic labels and health & beauty labels. With any project, we are able to meet your needs with a number of custom cosmetic label and makeup label options. We provide short run cosmetic labels for small quantity custom label orders, multiple SKU's, prototypes, and variable image labels, all without any plate prep charges. When you work with us you can always expect outstanding quality, perfect print registration on every project, and vibrant colors for your cosmetic brands. If you're looking to add additional information or language translations to your custom labels for cosmetics, consider our "clean release" Extend-a-Label product, with up to 3X the added space for additional content. 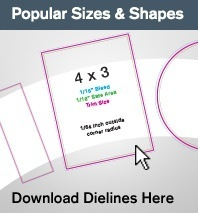 Or consider our Expandable booklet label that can add up to 6X the amount of information on your existing cosmetic label – without increasing the size of your current labels. 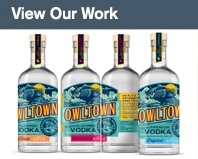 We can help you differentiate your brand from the competition by adding many unique additions to your cosmetic labels. Whether you need custom cosmetic labels or other personal care labels, Advanced Labels has the expertise and capabilities to meet your needs. Set your brand apart from the competition by having Advanced Labels produce winning cosmetic labels for your products. 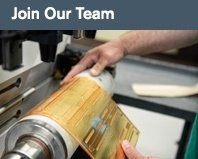 Get started today and contact one of our label specialists for a free label quote and complimentary cosmetic label samples.